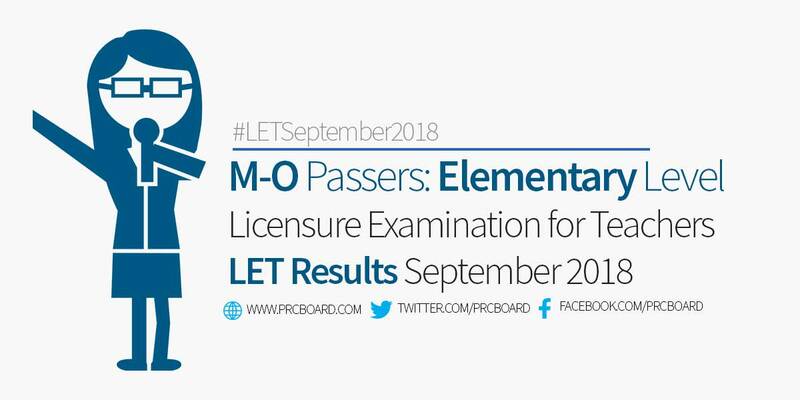 Below is the list of passers for September 2018 LET (Elementary Level) with surnames starting with letters M-O. when was the official result? When will be . . When will be the official result? Alin kaya ang unang ilalabas? Last episode ng Probinsyano o result ng LET?